Fixie bike with swapable rear hub. Bullhorn bars. 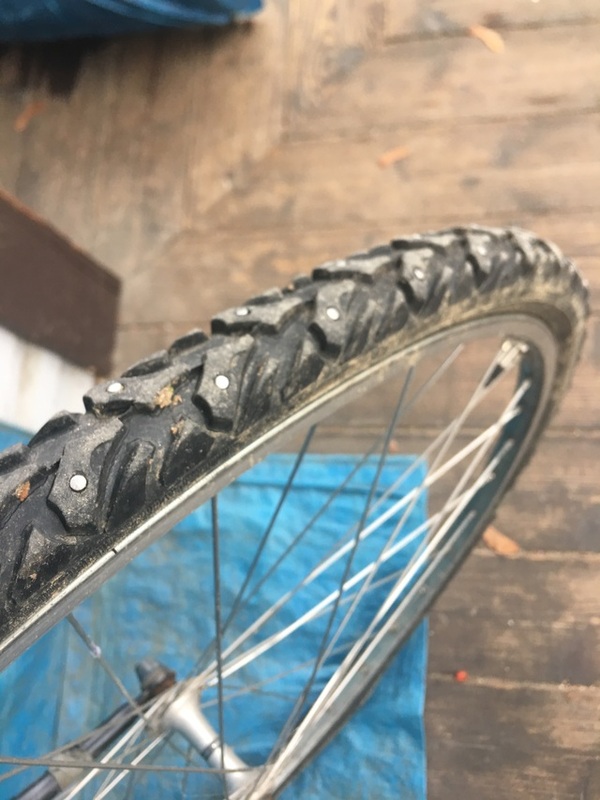 Studded winter tires. Perfect for a long winter here.